When you want all your data with you at all times! 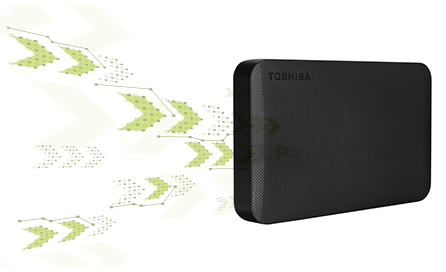 The Toshiba external HDD is available in a range of different storage sizes of 500GB. 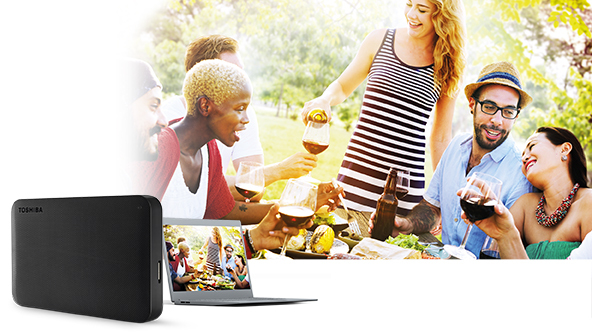 So whatever your portable storage requirements, whether you're saving documents, photos, movies, or a combination, the drive provides the ideal, high-capacity solution. The drive, incredibly fast and backwards-compatible USB 3.0 technology means that you’re able to save and secure documents, photos, movies, and more at speeds of up to 5 Gbit/s. 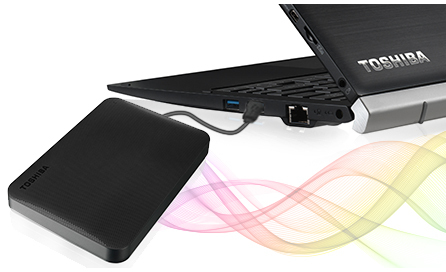 This hard drive makes use of the NTFS file system for compatibility with the Microsoft Windows operating system. Not only this, the drive can also be reformatted to HFS plus file system for compatibility with the Macintosh operating system. Order the Toshiba 500GB External Harddisk and have it delivered to your doorstep within 1-3 working days or same-day within Nairobi. Payment on delivery.